WTF manufactures forms that fit your needs, not ours. We have developed many different assorted concrete forms for specific applications, including our pilasters and round column forms. 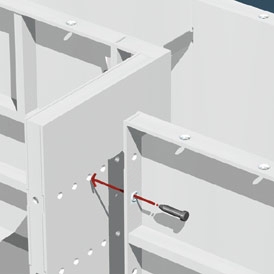 Pilasters normally are constructed on long wall applications to create additional strength in the concrete wall. 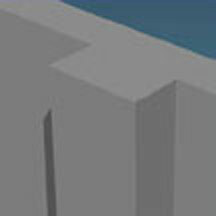 This application shows a formed pilaster using 4”x4” ISC, angle clips, and the appropriate sized fillers to achieve the desired depth and width. 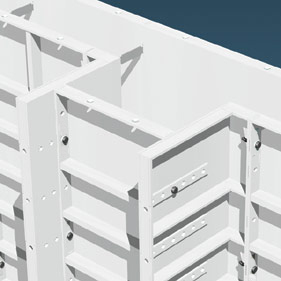 Allows for various pilaster sizes utilizing different size fillers. For customers who pour same size pilaster on a repetitive basis, fixed pilaster forms will achieve the greatest labor savings. 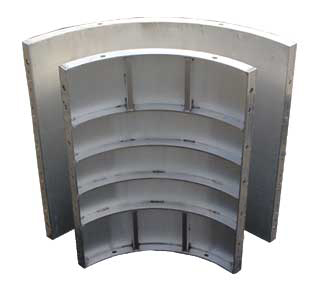 Fixed pilaster forms can be constructed with an open top or closed tapered top. Closed Tapered Top for ease of stripping. Also available: Fixed Pilaster Forms with open top Block Downs for open top pilasters. 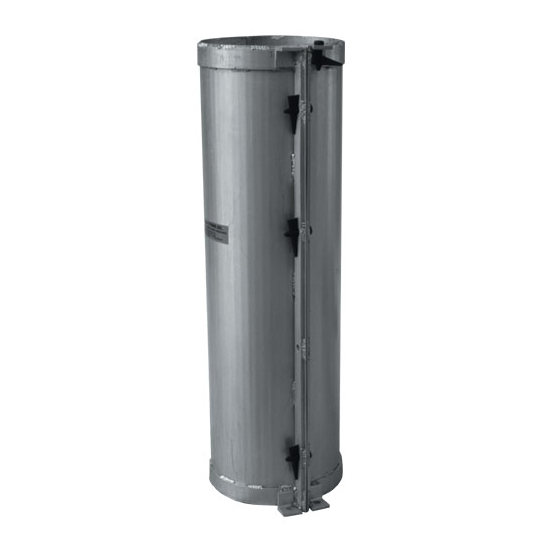 The WTF Round Column Forms are easily stackable to achieve various column heights and nest for simplicity of transportation. Available in heights from 12" to 120". Diameter sizes available: 10", 12", 14", 16", 18", 20", 22", 24". 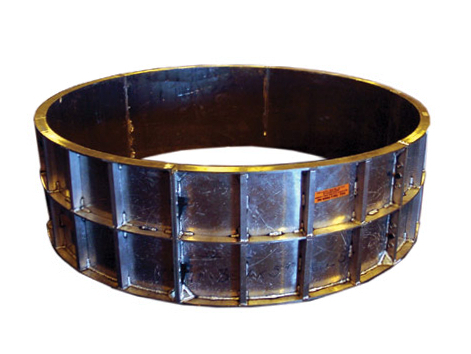 Large Column Forms built to contractor specifications. While the maximum height is 48" the forms are easily stacked to create the desired height. 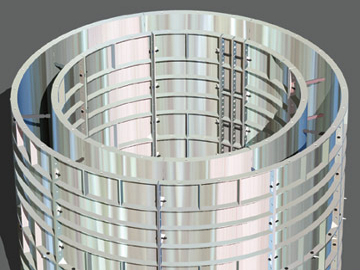 Also available, Column Forms for Hollow Column applications. Available in heights up to 48". Easily stacked to obtain desired wall height. 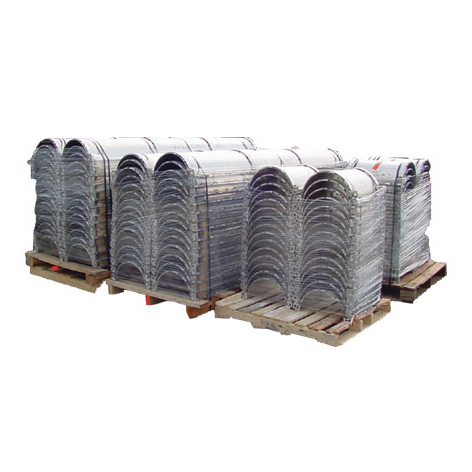 Wall Barrier Forms built to contractor specifications. 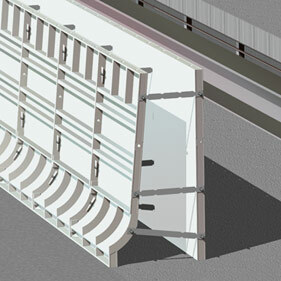 The Wall Barrier Forms use Breakback Ties.